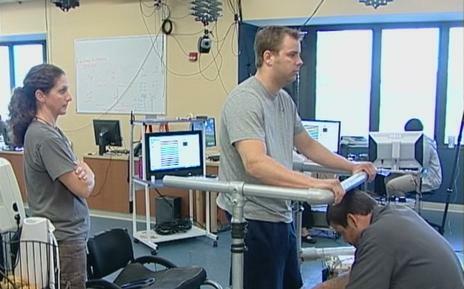 Scientists believe that this type of technology could theoretically help those in wheel chairs walk again, with the help of the electrical stimulator and intensive physical therapy. What they didn’t expect was that the process could be so quick. After just three days with the electrical stimulator, Summers could stand. For a little perspective, Summers’ last form of therapy yielded virtually no progress after 170 sessions. Doctors stipulate that this is only the beginning of our exploration of epidural stimulation, and the its benefits for spinal cord injury victims. Eventually, they hope to use the same type of technology could not only let the lame walk, but help correct secondary conditions like sexual response and impaired bladder control. This procedure has completely changed my life. For someone who for four years was unable to even move a toe, to have the freedom and ability to stand on my own is the most amazing feeling. To be able to pick up my foot and step down again was unbelievable, but beyond all of that my sense of well-being has changed. My physique and muscle tone has improved greatly–so much that most people don’t even believe I am paralyzed. I believe that epidural stimulation will get me out of this chair.